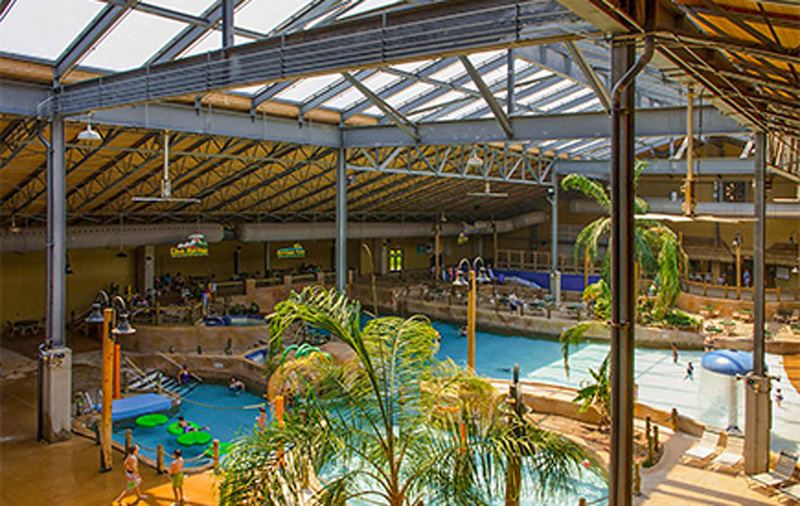 Our indoor waterpark is open to the public and features PA's first flowrider, 3 four-story tube slides, Jungle Falls and Leapin' Lillypads play areas, wave pool. Ask about our Birthday Parties or email mray@splitrockresort.com for more information! Family Appropriate Attire is required at all times! PRICELESS for Parents Having a Blast with Their Kids! Family Appropriate Attire is Required at All Times! 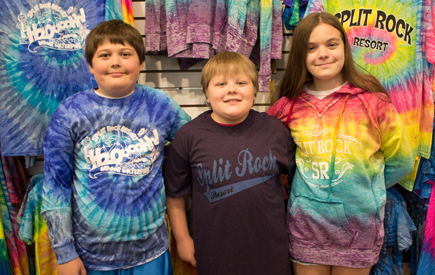 Split Rock Resort offers a variety of fun and exciting activities for resort guests of all ages and interests. Our activities are updated weekly and range from sporting tournaments, group games, bingo, scavenger hunts, turtle racing and more! Pick up a copy of this week's activity schedule in our lobby. 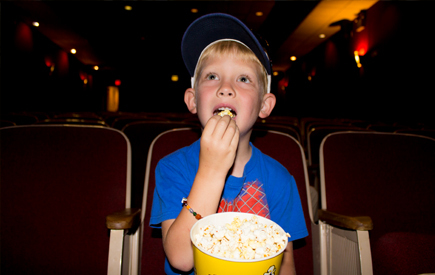 Our Movie Theater is open to the public! Sit back, relax, and enjoy the show! Click here for our Birthday Party Packages! or email Jcolon@splitrockresort.com for assistance! Looking for a fun daytime or late night activity? Our 8 Lane Bowling Center is open to the public! We offer automated scoring, bumper bowling, and an extraordinary experience featuring lights, glowing pins, and a state-of-the-art sound system. Ask about our Bowling Party Rooms! Remember the good ‘ol days when you could spend hours playing arcade games? Split Rock is bringing back that feeling at Redemption Arcade, where kids can enjoy a variety of games in a safe and wholesome environment. Just load up your gaming cards and starting playing! Redeem the gaming tickets you’ve won for great prizes. Open to the public! Split Rock Resort features a variety of indoor and outdoor sporting courts for beach volleyball, basketball, tennis, bocce, racquetball and softball. Indoor Basketball & Tennis Courts do sometimes close for private events. If this is an important feature to you please contact the Resort to check dates when the indoor courts are closed. Guests can enjoy both indoor pool and outdoor pools right at the resort! Have fun all year long with our indoor option, perfect for perking up during chilly days. Our outdoor pool is seasonal. Both pools are available to all Split Rock Resort guests. The outdoor pool is currently open, daily from 10:00AM-7:00PM, weather permitting. -Come enjoy Water Aerobics at the indoor pool every Tuesday and Thursday 9:00am-10:00am. Our convenient resort gift shop invites you to take a piece of Split Rock home with you! Featuring apparel, accessories, sporting goods, home décor, jewelry and more, the gift shop offers a one stop shopping experience. Forget something on your trip? No problem. Sundries, including snacks, beverages, sunscreen, and razors are also available. Relax on our beach or play a round of water volleyball at scenic Lake Harmony. 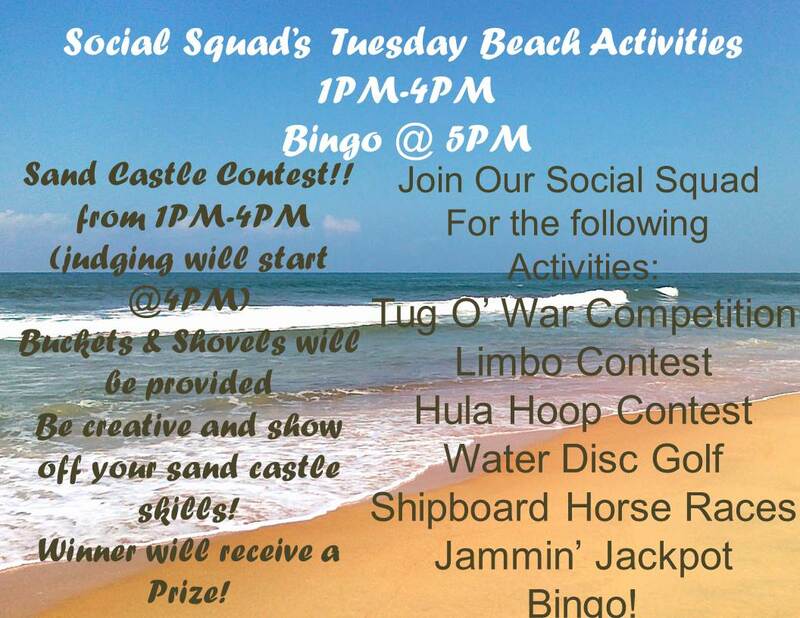 Every Tuesday we offer hotel guests Beach Activities through Labor Day, view the days activities here! Visit the Sandbar and enjoy a refreshing frozen drink and grab a burger or hot dog from the Beachside Grill! Memorial Weekend - Labor Day Weekend! The fitness center at Split Rock Resort provides a variety of equipment to help work away the day‘s pressures, including treadmills, lifecycles, elliptical cross trainers, steppers, rowers, universal weight stations, free weights, billiards shuffleboard, table tennis and flat screen TVs. The fitness center also offers special classes including water aerobics. Memberships are available to the public. 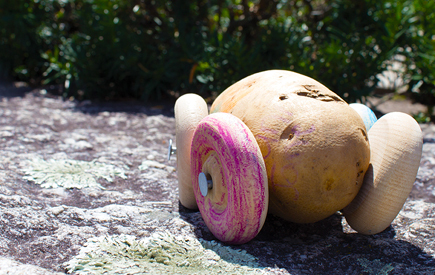 If you’re not going pro this vacation, try our exciting 18-hole miniature golf course, surrounded by the beautiful scenery of the Poconos. Mini-golf is open to the public and the perfect activity for family fun, groups, or birthday parties. Other appointment times may be available by request. Getting ready for a big event, or just want to spruce up your look? Our full service salon located in the Galleria features excellent hair salon services including haircuts, hair coloring and highlighting, and a full service beauty salon for nails and makeup. Clients will relax in a warm, friendly salon where they are made to feel welcome and beautiful. Our salon is open to the public from Tuesday – Saturday, 9:00am-5:00pm.